TechInAfrica – Alibaba Group held a four-day workshop in Hangzhou, China this week. The workshop was attended by a group of twelve Rwandan delegates to discuss FinTech, logistics, e-Commerce, and big data technologies and how these technologies can be impactful to the economic growth of both countries, especially Rwanda. The main purpose of the program is to encourage all the participants to share their knowledge to further maintain their support in the development of Rwanda’s digital economy. The twelve Rwandan delegates are including the CEO of Rwanda’s National Agricultural Export Development Board (NAEB), the Rwandan Ambassador to China and the Ministry of Trade and Industry (MINICOM) representatives, Higher Education Council (HEC), Rwanda Utility Regulatory Authority (RURA), Rwanda Information Society Authority (RISA), Rwanda Development Board (RDB), the Ministry of ICT & Innovation (MINICT), and Rwanda Energy Group (REG). The workshop is a follow-up program of the launch of the eWTP hub in Rwanda in October 2018. Both countries signed the eWTP agreement and committed to working together in developing Rwanda’s digital economy through policy innovation and capacity building. The eWTP agreement was signed by Alibaba Group’s CEO, Jack Ma and President of Rwanda, Paul Kagame. Global E-Commerce Talent (GET) Program that was organized in collaboration with the Rwandan Development Board and the Ministry of Education’s Higher Education Council. The GET Program enabled fifty lecturers from Rwanda’s top universities to enrich their knowledge in the e-commerce industry so that they can teach entrepreneurship to university students. Alibaba Business School (ABS) partnered with UNCTAD is training approximately 1,000 Rwandan entrepreneurs from emerging economic sectors for over five years. Among those numbers, there are two hundred entrepreneurs coming from Africa continent. The training program is called eFounders Fellowship program and has graduated five Rwandan entrepreneurs. 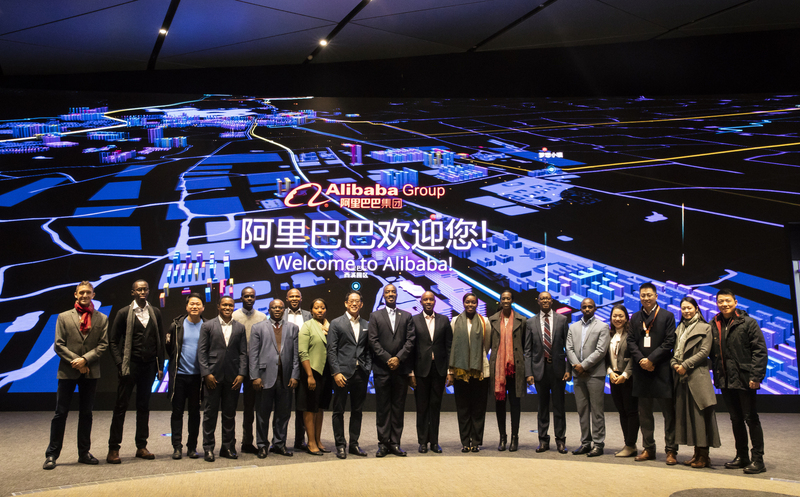 Alibaba Business School will host the first Alibaba Netpreneur Training program starting from March 2 – 13, 2019 as a part of the eWTP agreement. There will be about forty entrepreneurs will be joining the program. If you are interested in joining the program, click here. The due date of the application is on January 20, 2019. For more information about Alibaba Group’s ongoing activities on the continent, visit its corporate new site here.